Randy Mason is a NYC emcee and art educator from the Bronx who uses his passion for hip hop to help today's youth find their voice and build community. As a father, husband, recording artist, author, educator and pastor, Ran draws from a deep well of unique and diverse experiences to tell stories through songs, engaging audiences of all kinds in a way that is real, relevant, meaningful and memorable. Randy recognizes that hip hop gives students "mic skills and life skills." They're learning figurative language, improvisation, creative writing and thinking, and poetry, all while having fun. 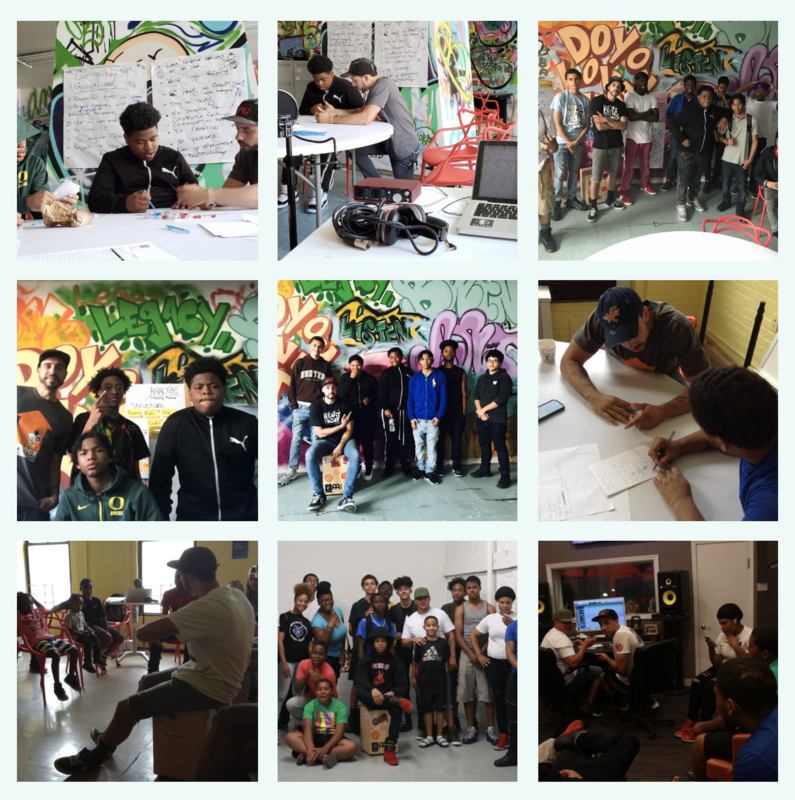 Students use the four elements of hip hop to discover their voice (emceeing), movement (break dancing), a community (DJing), and their name (graffiti). Every Hip Hoppin' HeART dollar will support Randy Mason directly, unless otherwise indicated. Donations are 100% tax deductible. Learn more about Thrive Collective's music programs. Watch Randy Perform "Get Busy" at SoFar NYC. Randy, this is a great program that you are doing. Keep the arts strong!! Randy is making a difference in the world by the love and work he dedicates to our Future- The Children! We are so grateful! You're a true artist Randy! Proud of you bro Randy! Keep up the great work. All glory to God. Keep bringing the hope of Christ to our kids. Love you bro! Brother Randy this is Andy keep up the good work. God bless ur ministry brother! Love ur work! I believe in Randy's dream! Yo fam! R. Parker here! I believe in you, the significance and necessity of art in educational spaces and shifting educational paradigms!